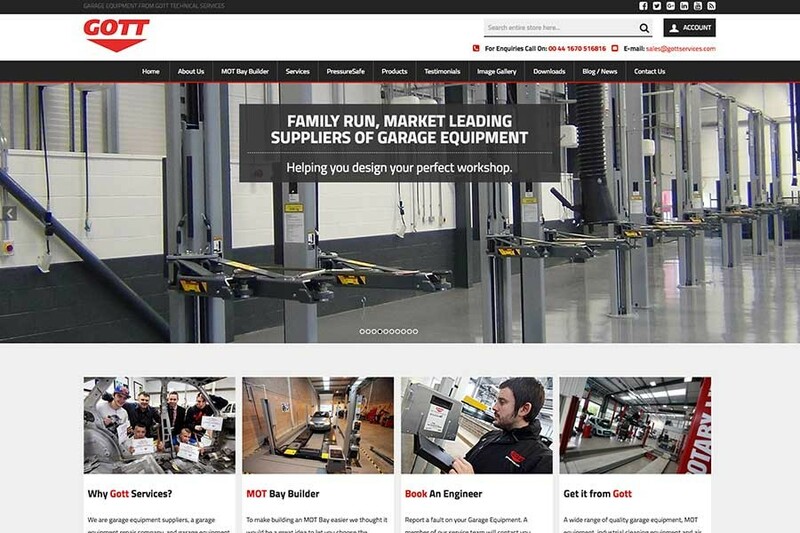 Gott Technical Services are garage equipment suppliers, a garage equipment repair company, and garage equipment servicing company based in the North East of England. 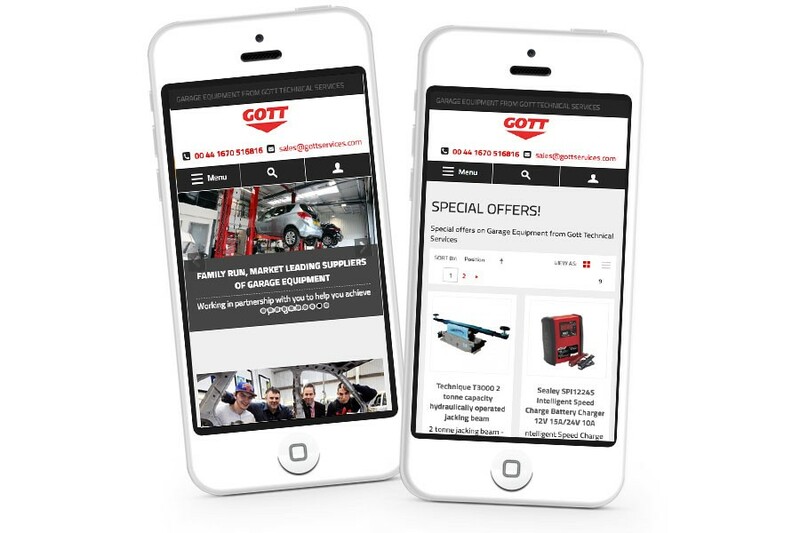 Gott came to Design365 with an existing Magento website which was in need of being updated. It had various issues which our team quickly resolved. 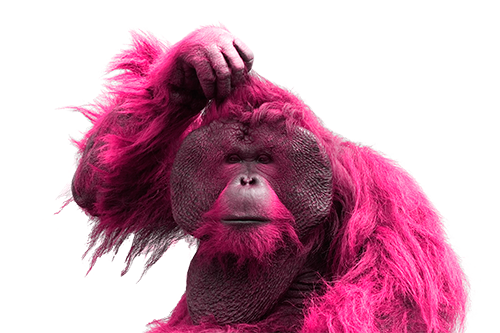 We work closely with the managing director on a month to month basis keeping the website up-to-date. 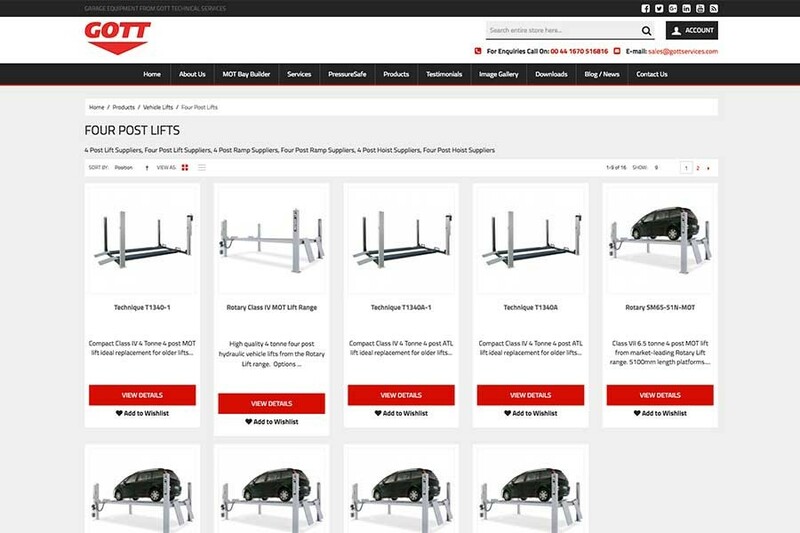 We have upgraded the website to Magento 1.9.3x and added a new MOT Bay Builder wizard, utilising the product attributes to create a seamless step by step route to receiving a quote for the customer. 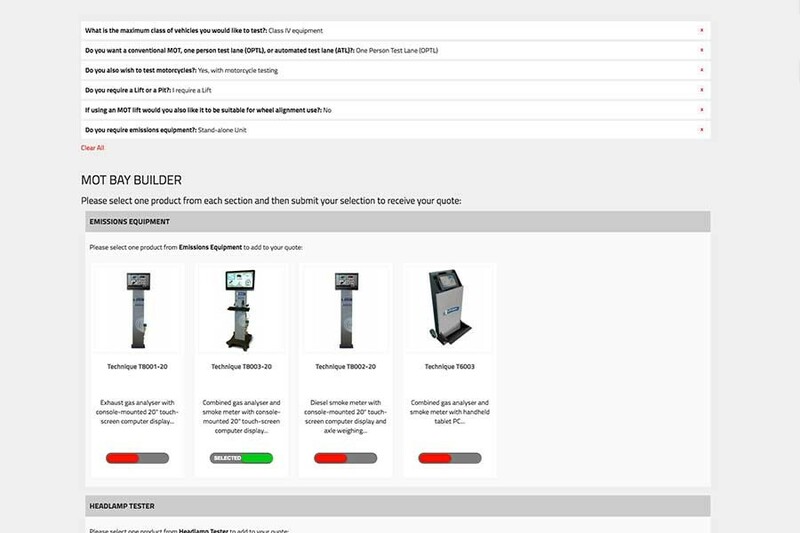 The website is fully responsive for all devices and includes mail chimp integration for monthly newsletters. 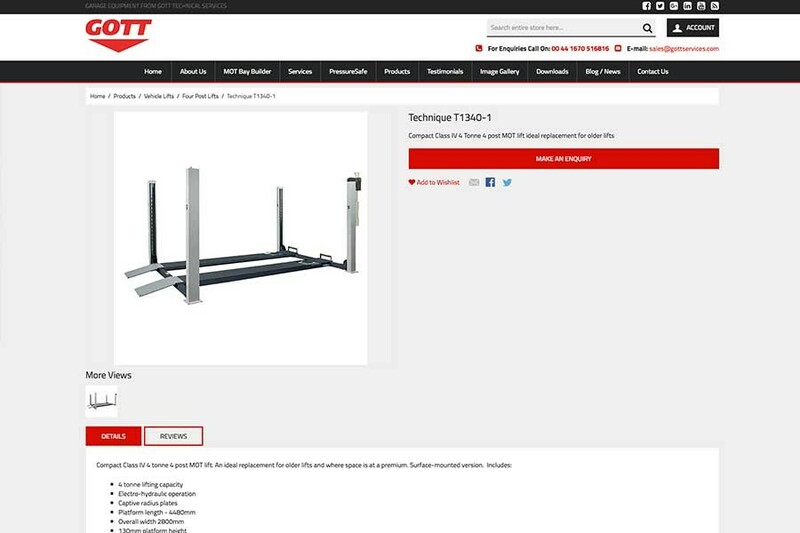 The site has been designed to have product enquiries and online purchases, the shopping cart can be turned on and off as required as the company don’t accept online orders at all times.